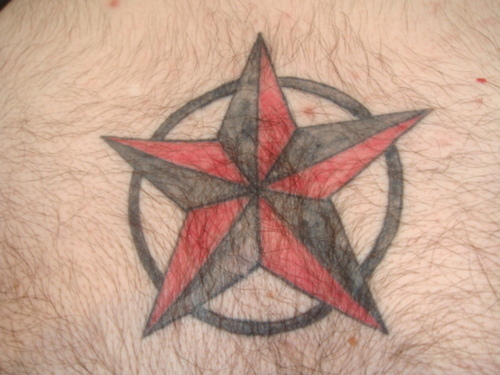 The symbolism of nautical star tattoos is largely debated. Historically, these pieces were used by superstitious sailors who felt that wearing this image would help guide them safely home. 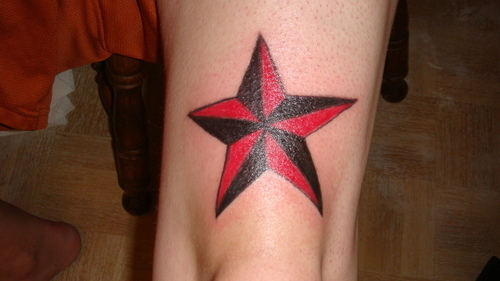 In more modern times, the nautical star has become something of an emblem for a number of diverse groups like the GLBT community, the military, and those who identify themselves as punk rockers. In a more general sense, these pieces are usually meant as symbols of good luck and as emblems for finding one’s way through life. 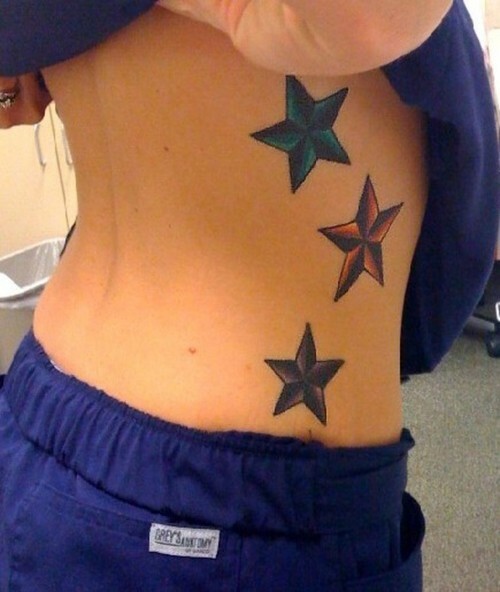 In many cases, nautical star tattoos are fairly simple. 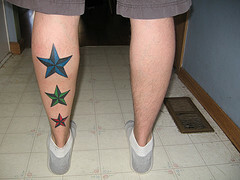 These designs generally feature a five pointed star with alternating colors. 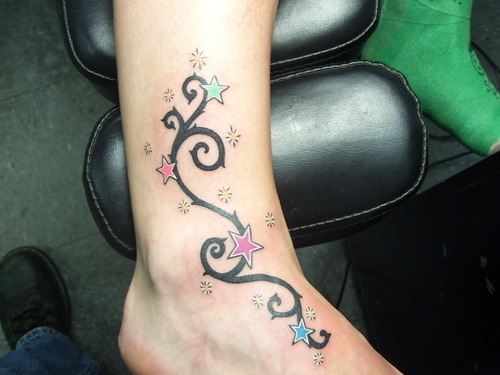 Basic designs may also be enhanced by creating a three dimensional-like appearance or using bright colors. An unusual take on the basic design would be to give it the look of wood, brass or bone. Other embellishments – such as gems, water stains, or a patina-like shading – may also help to spice up this simple piece. 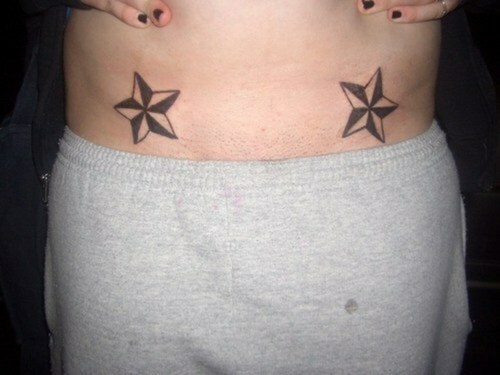 In addition to embellishments, some people like to add secondary symbols to their nautical star tattoos. 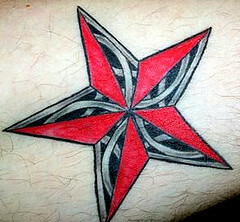 These symbols are often similar in theme and may consist of water dripping from the tips of the star, sharks trying to bite it in half, or pin up-style mermaids lounging along the arms. Although other nautical symbols may be common, some prefer to add more personal touches such as zodiac or elemental symbols, hearts or flowers. 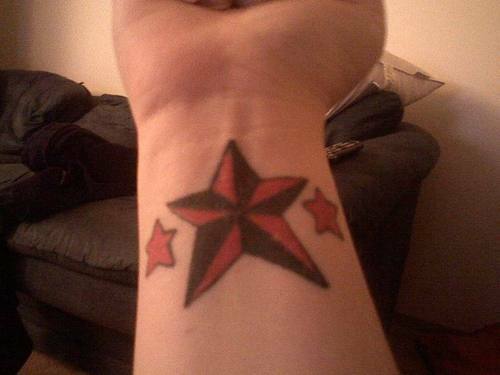 For a more unique take on nautical star tattoos, some like to morph or meld the star with other images. For instance, the ends of the arms could be topped with elaborate dagger handles, while the body of the arms could be made to look like shiny metal blades. 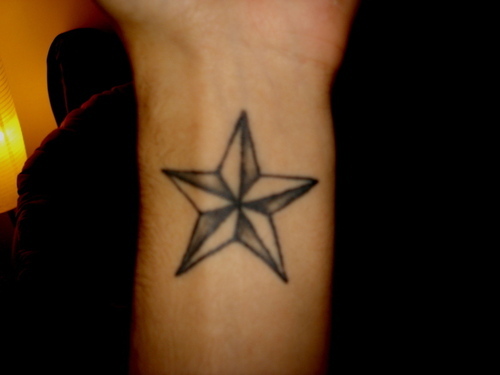 The nautical star could also be made to look like a starfish or a blazing shooting star that leaves a trail across the skin. 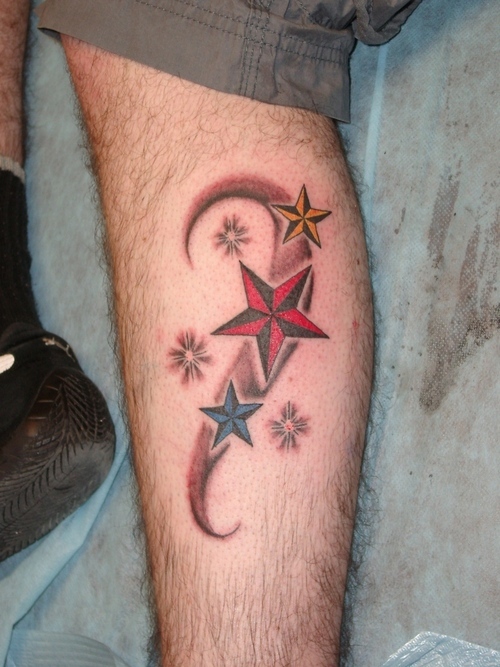 Although the design of nautical star tattoos may be important, of equal importance is placement. 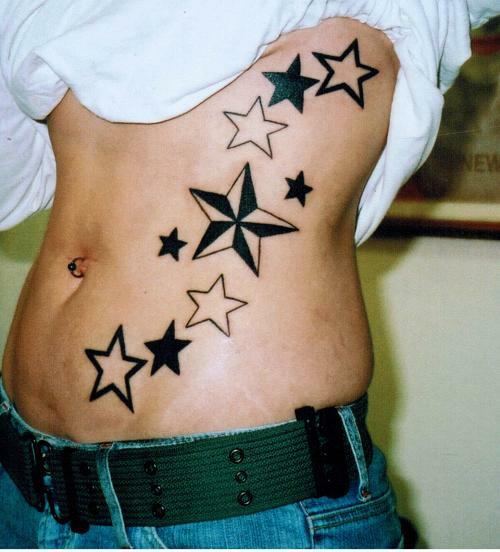 These pieces may be done anywhere on the body, but some feel that certain locations may be more fortuitous than others. 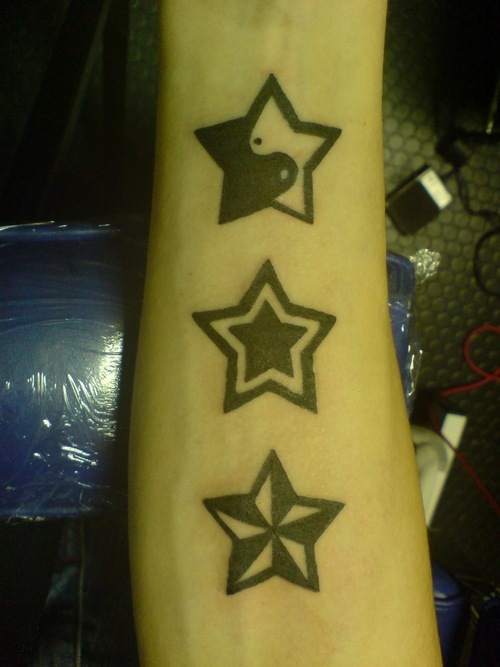 For example, placing the star on the left wrist and aligning it with the thumb is said to create a more positive direction for the future, while placing one on either forearm will bring good luck.